CORONA DEL MAR — The Southern California Yachting Association will host its 23rd annual Women’s Sailing Convention starting at 8:30 a.m. Feb. 4 at Bahia Corinthian Yacht Club, 1601 Bayside Drive, Corona del Mar. The all-day event is open to all women interested in sailing — from novices to experts — and will take place rain or shine. 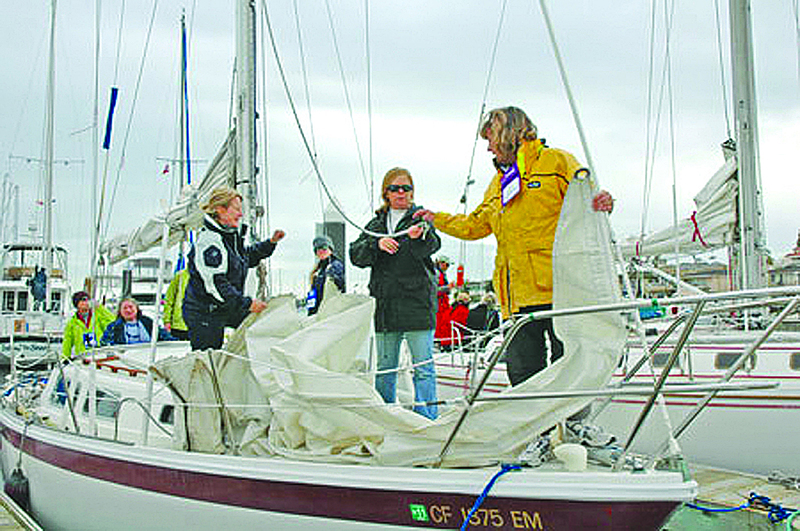 Attendees can select from a combination of on- and off-the-water educational workshops, such as Welcome Aboard (for beginners), Diesels, Going Up the Mast, Introduction to Racing, Tactics, Docking, Overboard Procedures, Suddenly Singlehanded Interactive, Weather, Sail Trim, Basic Navigation, Safety, Nighttime Sailing and Navigation, Hassle-Free Heads, Spinnaker Rigging, Offshore Cruising and Introduction to Sailing. All of the workshops are presented by top women sailors from around Southern California, many of whom are Coast Guard-licensed captains. In addition, the Melanie Patterson Memorial Race will be held in conjunction with the convention’s race workshop, aboard Harbor 20s. The featured dinner guest speaker will be world-class sailor, instructor and delivery captain Diane DeWitte. With more than 30 years of experience, she has traveled to ports and waterways of the Far East, Southeast Asia, Europe, Africa, Alaska, British Columbia, and Baja California, Mexico. DeWitte has cruised for the last two years with her 6-year-old daughter. What makes this convention unique is the quality of the seminars and the participants, Hine said. She shared feedback from past attendees who were inspired by the expert speakers, appreciated the networking opportunities and enjoyed the workshops. The convention’s early registration fee of $175 includes workshops, breakfast, lunch, dinner, a souvenir and handouts. After Jan. 28, the fee will increase to $185. Early registration is recommended, since the event tends to sell out and space is limited. In past years, up to 200 people have attended. To register, call Hine at (951) 677-8121, email hine@scya.org or visit scya.org.